Burn One Down is back to his best. PIC Paul Munt. LEADING conditioner Jason Thompson says superstar greyhound Burn One Down (Buck Fever x Fancy Jaffa Jan ’14) will head into the Victorian Distance Championship (725m) heats ‘100 per cent’ after scoring a sensational win in the Listed Destini Fireball Stayers (725m) at The Meadows on Saturday night. Starting from box five as the $1.50 favourite, Burn One Down was only fairly away, but pushed up into third spot entering the home straight on the second occasion behind the early leaders Dundee Calypso (Barcia Bale x Crown Poker May ’14) and Caco Potion (Kilty Lad x Shifty Mifty Dec ’13). Once he found clear galloping room, Burn One Down began cutting back the margin, hitting the lead in the run off the back straight and kicking clear to score by six lengths over Mick’s Angel (Kilty Lad x Seabrook Lass Jan ’14) and Dundee Calypso in 42.59. Owned and bred by the Pringle family and trained by Jason and his wife Seona, Burn One Down has now won 30 races from 48 starts, with his prize money earnings now toppling over $436,000. Given that he has started odds-on in 39 of his races, Thompson concedes there has always been plenty of pressure on Burn One Down to perform, however he commended the dog for stepping up to the challenge on so many occasions. “He goes out and does what he does week in, week out,” Thompson told Australian Racing Greyhound. “People shouldn’t underestimate how hard it is for dogs to turn up and perform at their top every start. Burn One Down has now had nine starts back from an injury-enforced spell for seven wins, a second and a third. He resumed racing after two months off in May when winning the Group 3 The Racecallers (595m) at Sandown Park before contesting the Group 1 Sandown Cup series (715m), winning his heat before running an honest third in the final behind Fanta Bale. Following that run he also won the Listed Super Stayers at Albion Park and broke track records at Geelong (38.72 – 680m) and Sale (36.67 – 650m). 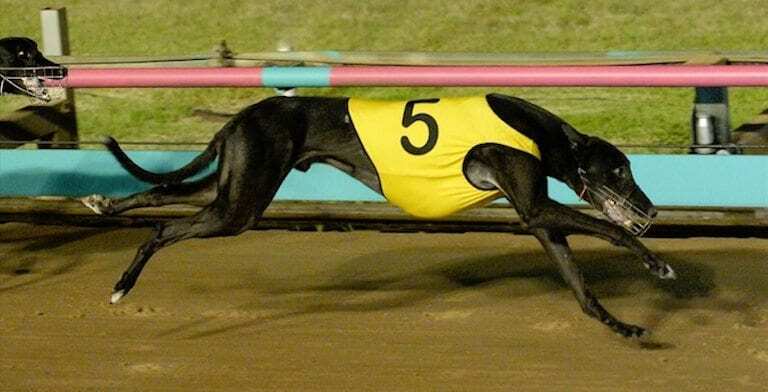 With his confidence high, Thompson said Burn One Down will be a force to be reckoned with heading into the National Distance Championship series, with the heats of the Victorian leg to be held at The Meadows this Saturday night. The winner of the Victorian final on August 12 will head to the Group 1 National final at Albion Park worth $75,000 to the winner. “He is 100 per cent now after having a few 700s. He certainly needed all those runs because he had a fairly long amount of time off and he came back to racing very underdone,” Thompson said.